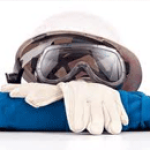 Accrediting Body NJ does not have additional requirements for Asbestos Inspectors - if an individual has acquired AHERA/EPA accredited certification they are qualified to do this type of work in New Jersey. Proof of these certifications must be made available upon request. Company Application Requirements None. 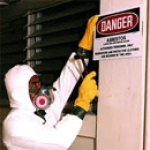 Please Note: Any educational facility or public building that undergoes an asbestos abatement must be monitored and inspected by an authorized Asbestos Safety Control Monitoring (ASCM) firm, performed by NJ Asbestos Safety Technicians (ASTs). 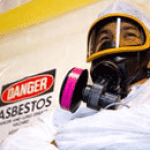 These certifications and scope of work are separate from the Asbestos Inspector role in NJ. I think Ron Ramanski was a great instructor. Information was comprehensive and clearly laid out. He empasized the imporrtant... I think Ron Ramanski was a great instructor. Information was comprehensive and clearly laid out. He empasized the imporrtant points and facts but added enough personal stories about on the job experiences to keep in interesting. Good enunciation too. Very progressive experience - the instructor were approachable and knowledgable. Very progressive experience - the instructor were approachable and knowledgable. Instructor(s) were knowledgeable and direct. The area where the seminar was given was not the best. Hands on training was... Instructor(s) were knowledgeable and direct. The area where the seminar was given was not the best. Hands on training was limited and not too good. I found the class informative and run very well. I would take another course with this instructor anytime. Thank you. I found the class informative and run very well. I would take another course with this instructor anytime. Thank you. very knowledgeable instructor and glad to have his contact information for future reference. very knowledgeable instructor and glad to have his contact information for future reference. Very knowledgeable the only thing that kept him from a 5 is the lack of a power point presentation to go along with most... Very knowledgeable the only thing that kept him from a 5 is the lack of a power point presentation to go along with most of the lecture.